Mr. Kim began his career as a trader of sophisticated financial derivatives for JP Morgan and Merrill Lynch. At 24 he was made the Head Trader of Merrill Lynch's global USD Fixed-Income Swap Group, then the largest derivatives trading desk in the world. After leading the group to a series of #1 rankings by both institutional clients and competing investment banks, Mr. Kim moved to London to manage the European Fixed-Income Swap Group for Merrill. At 27 Mr. Kim joined the hedge fund Tiger Management, then the largest in the world, where he was responsible for all trading in Asia. He left Tiger in 1999 to found Bamboo and has been the driving force and vision behind the company. Mr. Kim has been widely recognized as one of the founding figures in the Chinese Offshore Software Outsourcing industry and has been interviewed in numerous international television, newspaper, and magazine features. Mr. Kim double majored in Finance and Decision Sciences at the Wharton School of Business at the University of Pennsylvania. Mr. Rao began his career at Infosys Technologies Limited, where he served in a number of senior management capacities for five years, including leading professional services group of their banking technology division. He has more than 17 years experience in the IT industry, specializes in transforming business using IT, and manages all aspects of the software development lifecycle from conception through deployment and maintenance. He has been widely recognized as an expert in implementing CMM pratices, aligning business requirements with IT, and deploying industry standard frameworks, tools, and methodologies. Prior to joining Bamboo, he was Technology Network Lead at Razorfish, both managing the technology team and focusing on business development activities. Tina Luo began her career with Bamboo Technology in 1993. She has worked in multiple departments in the company having been in charge of the personnel department, the administration department and the finance department. In 2002, she moved to the Bamboo Design Company and formally began her advertising career. From 2002 to 2012, Ms. Luo served as a client manager for many well-known brands including Bright Diary, Mead Johnson, AmWay and Midea. In 2013, Tina Luo was promoted to head of Bamboo Design Business Unit, taking charge of daily operation of the Bamboo Design Company. Every year, the Design Company continues to grow at a rate of not less than two digits. Mr. Bahri began his career with Accenture, where he served in many different key roles. Including leading the operations team for a significantly large project for Telstra. In parallel he was also a lecturer at the Royal Melbourne Institute of Technology (R.M.I.T) teaching subjects such as Advance Distributed Network Programming. Prior to joining Bamboo he worked at FOXTEL Australia in different technical roles and managed a team of in-house developers and external consultants. He has 17 years of experience in the IT industry, with a wide range of experience in delivering different types of software projects. He has extensive experience managing teams and clients of different ethnic backgrounds with a keen focus on delivery and client satisfaction. Edmund Chan has more than 20 years in the IT industry with extensive CRM, ERP, and Digital Transformation implementation experience, successfully delivering multiple large and complex development projects. Chan began his career working on mission critical enterprise applications for AT&T and Wells Fargo Bank. He specialized in dissecting complex business issues, crafting creative, cost-efficient, oftentimes iterative IT solutions that directly impacted the bottom line. In his role as Head of China Business Unit, Chan fosters an environment of high performance teamwork and ensures that strategy is clearly defined while overseeing performance and maintaining morale. ©Copyright 2018 Bamboo Technologies, Limited. 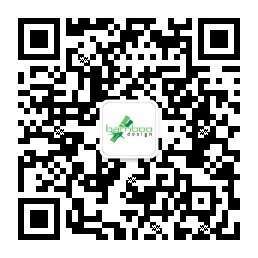 The First CMMI 5 Company in China. All rights reserved.